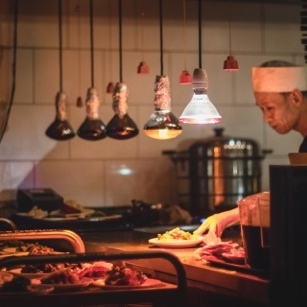 Kreuzberg's restaurant scene has never been more vibrant than today. 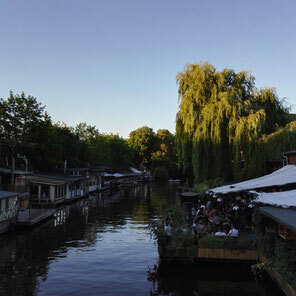 It’s part of the appeal of this much-loved district of Berlin. Also tenderly called xberg is in constant motion. I personally have seen a lot of restaurants come and go in Kreuzberg, but the best places always remain. 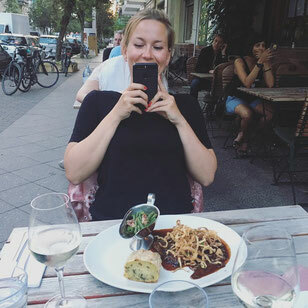 That is why I have compiled a list of my Top 5 restaurants in Kreuzberg that come with concepts and delicious menus. Guten Appetit! Henne managed to keep their doors open for 100 years. They serve fried chicken, potato salad, Boulette, more beers than there are main dishes and has outside tables that are a must in the summer. With large artwork on the walls, serving delicious Austrian cuisine and pastries, Jolesch is one of my favourite restaurants. I can especially recommend the Zwiebelrostbraten and Kaiserschmarrn. Here you can pay with credit card. Dine waterside on the wooden deck with choices from an eclectic menu. Here you can pay with credit card too. 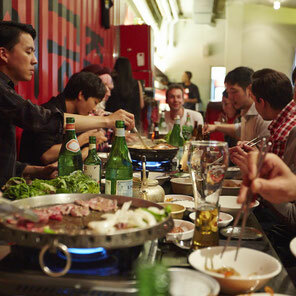 Kimchi Princess is a buzzing Korean restaurant with sizzling BBQ grills. Make sure to try the Korean BBQ! If you are on a budget, but want to try Korean Bibimbap in hot stone, you can also go to Mercosy in the Dresdener Str. 11. Here you can pay with credit card and they have WiFi. Here you’ll find great Chinese dishes such as crunchy jellyfish salad and melt-in-your-mouth pork belly among other typical dim sum dishes. Afterwards, nearby you can get a drink at the bar Schwarze Traube.